We’ve compiled some suggestions for how your car could make you some money without you having to put in a lot of effort. Your car could be a great way to gather more income whether business is slow, or if you’d just like a few extra money-making activities on the side. Cars can be expensive just to keep on the road, so finding ways to make some of that money back could help your car pay towards its own running costs! Perfect if your car is not used as regularly as it perhaps should be, or if you don’t plan to be using it for some time. Take a look at our list to see how your car could start earning its own money. Register with a site like Shiply and start quoting on local delivery jobs to incorporate with your existing journeys. You’ll have to go through a few checks before you’re active on the site of course, but once you’re active you can start quoting on listings. Work on creating and maintaining a high positive feedback score so customers keep coming back and choosing your quotes over those from other companies. You can quote on as many or as few delivery jobs as you like, so you can adjust your workload according to how much time you need to be spending on other things. 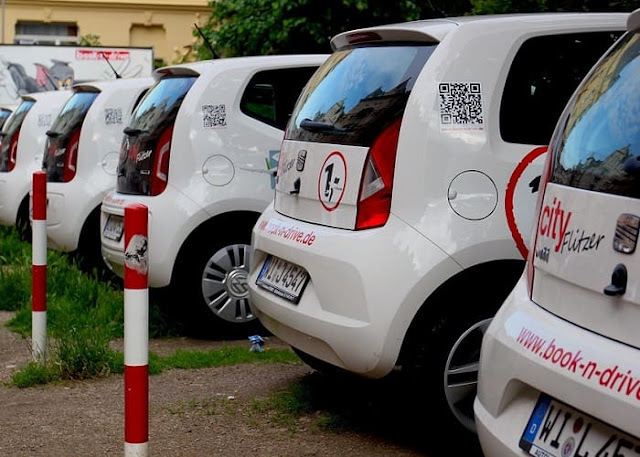 For an easy way to make some money, register your vehicle on a renting site like EasyCar. You list your car on the website, say what dates the car is available and wait for the bookings to come in. Insurance is covered by the website - all you need to do is be available at the beginning and end of each booking to hand over the car and sign paperwork, and of course you’ll need to keep your car safe to drive, clean and in good condition. This is a perfect option if your car tends to sit on your road or in your driveway for days at a time, or if you have alternative transport options in your area that you can use while your car is being hired. If you’re able to take on some easy work, your car could help you undertake jobs for local people. There are a few apps where you can register yourself as a Tasker to do small jobs for people in your community, like TaskRabbit. You just need to log on and choose what jobs you’re able to do from the list provided, which could be anything from hanging shelves to party planning. If you own a car this could open up more opportunities, like collecting grocery shopping or driving people to places they cannot get to themselves, so don’t forget to list that you have a vehicle! Listing your journeys on lift sharing sites like BlaBlaCar, whether for a journey you make regularly (like a commute) or one-off longer journeys that might work out expensive if there’s only one person in the car. Although you’re not technically making a profit (just sharing some of the automotive fuel costs) it could save you a lot of money in the long run. A full car is much more affordable when it’s full of passengers, especially if it’s not a particularly efficient car. I hope you enjoyed this article about how to unlock the profit potential of your vehicle. Interested in more articles about using your car for business purposes?